Hope this is the proper forum since it deals with 3rd party app and scripting. Not actually an "idea," although it is tangentially..
Is it possible to open a EN notebook using Excel script? If so, how? How about open a NEW note? Very good. In my (very) limited programing history, I've learned about anything that can be done with keystrokes and/or mouse clicks can be done in a script. I find it difficult to believe a script can't be written moving (copy/paste) an xls or csv record to an EN note as subject/body. I find it difficult to believe a script can't be written moving (copy/paste) an xls or csv record to an EN note as subject/body. I have 8000+ notes in 7 Outlook folders. 95% consist of a subject and body. The remainder are emails. Cut and paste, if I understand this you correctly, is a one-at-a-time endeavor 8000+ times. I can get the Outlook files to a CSV of two fields, each note in one row. (BTW, I'm using "note" as a single entry in a Notebook, not as an app.) In a perfect world, I want to create a new note for each row, with the note parsing the data to subject/body. Unless I've missed something, EN currently has no ability to run a script, obtain one row of data, parse it, and input it into a new note - a routine I imagine is quite common in most (all?) scripts. After all, it consists of, Create a notebook, create new note in the notebook, copy row, parse, copy/paste, save, repeat. I've done such things in VBA and JS. From what I understand by searches here and google, it is possible to import data as a file, but not as a stand-alone note. I'm quite surprised, given the number of folders notebooks in Outlook and other DBs, no one at EN or no EN user has written such a script. If the capability exists, and I could muddle through it given long enough (but I'm an old guy), someone who can actually DO this, could accomplish the task during lunch. OK, maybe longer. You can link to a note in a notebook. Just for my information, did you want an Excel script because you have already created the CSV? Or would you prefer an Outlook VBA script to convert your Outlook notes to Evernote? Looking at the command line options for ENScript.exe for Windows at the developer articles pointed out by DTLow, I think it could be done. Another thing, 8000 notes is a lot of notes! Would you prefer them all in a single note, or organised some particular way and tagged? I've searched for a few months (irregularly) and don't remember seeing Save to Evernote add-in for Outlook. I'll look at it. Yes, I have seven CSV files and asked about the Excel script because I have some experience in Excel scripts. Outlook VBA would be fine, if already written. I may be able to get it done, but have little time to commit to the effort. Again, I find it surprising no one connected to EN has written a script that could potentially acquire many more users. No, I don't want them in a single note. Separate notes or I'll keep them in Outlook. But, I'd prefer ditching and uninstalling Outlook and moving exclusively to EN. (I'm using EM Client for calendar/Email. BTW, I've found a couple of web pages describing the add-in. Looks like it requires Outlook 2010/2013. I'm running 2007. Bummer. By the way do you have any plans to change from Office 2007? Already changed from Outlook to M Client. Not a GREAT alternative, but much less expensive. I'll try the code, next opportunity. forum.xlsm runs without error. After execution, the Notebook remains empty. I have added a msgbox to verify text is in the variables. It appears the text gets to ENTitle, ENNoteText, but no new note is created. FWIW, I've run this with EN open AND closed. Great, can you let me know the entries you made for the variables below? C:\>C:\full_path_to_ENScript.exe createNote /n "Notebook name" /i "Note title" /s "C:\Note Text.txt"
Thank you DTLow! I've learned about Import Folders today. Much more efficient for this purpose. I've set the note folder in the attached macro as C:\EN, set that up in Explorer or just change the macro to suit, run the macro to create the separate note files, then set Evernote to watch that folder in Evernote > Tools > Import Folders..., add C:\EN, and set the required notebook. Evernote just adds the new or changed notes, which are organised as shown in the screen clip below. Thank you DTLow! I've learned about Import Folders today. You're welcome. I actually deleted the post, deciding you had this this discussion covered. ENFile = "C:\EN\" & "File_" & Format(i, "00000") & ".txt"
Well I had a first pass at a version for Mac but taking a lot longer due to no native Import Folders functionality in Evernote for Mac. I am using Veritrope's Evernote import folder script, however it uses the text file name as the note title, not the first line in the text file like Evernote for Windows. Adding the files manually one by one seems to go OK, but loading them quickly by the macro or dropping a heap of files on the folder seems not to work, converting only one note or crashing Evernote. I've probably set it up incorrectly or it's having issues with my versions of OSX or Evernote. Otherwise the Excel VBA script below works OK in terms of selecting the import folder and creating the files. Not necessary. Works perfectly. The trick is run the macro with EN closed. Spent waaaayy too much time playing with the code before I tried the easy step. One question. 3 of my notebooks sort notes by date created. When imported from csv, the "created date" is apparently stripped. Any way to bring the date along with the Subject/Body? And thanks GREATLY for the code. Now I can finally delete Outlook without using hours of my time. One of the ENScript options is creation date as shown below, so it is possible to add that to your Evernote note. While the CSV export from Outlook doesn't include the creation date, it is available via Outlook VBA. I've already ported the Excel macro to Outlook and it runs perfectly (for me anyway) on the notes in the default Outlook Notes folder, bringing in the creation date to the Evernote note as well. Alternatively, if you wanted to stay with the Excel/CSV approach, you could create a new CSV file with the creation date, by connecting to Outlook using Access, import the notes to a table in Access, and exporting that to an Excel or CSV file. >> /c date - Specifies the note creation date and time using the format "YYYY/MM/DD hh:mm:ss". If omitted, the current time is used. /// This specifies WHICH creation date? The creation date attached to the note in Outlook? It's apparently not the import date (current time). Where does it get "date?" While the CSV export from Outlook doesn't include the creation date, it is available via Outlook VBA. I've already ported the Excel macro to Outlook and it runs perfectly (for me anyway) on the notes in the default Outlook Notes folder, bringing in the creation date to the Evernote note as well. /// Default Notes folder? Wasn't aware there was such a thing. I'm guessing I can select which folder is default, right? Alternatively, if you wanted to stay with the Excel/CSV approach, you could create a new CSV file with the creation date, by connecting to Outlook using Access, import the notes to a table in Access, and exporting that to an Excel or CSV file. /// Don't have Access. Your Outlook Notes have many properties, one of them is CreationTime (ie the date and time the Outlook Note was created). The VBA script converts it to text in the format required, then passes it to ENScript as /c date. This adds the original creation date of the note to the new note in Evernote. 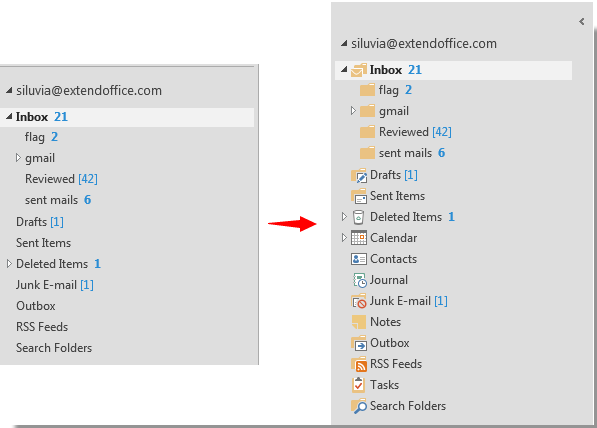 The default folders are those associated with the default Outlook account in Account Settings. I recall you have the notes set up in a number of PST files? If so, just add them all to your account and select Set as Default in turn and run the macro for each PST. ie go to Outlook > Tools menu > Account Settings > Account Settings > Data Files tab and add them all there, select the first PST the Notes in which you want to convert to Evernote, then select Set as Default. Then OK through all of the dialogs, restart Outlook, then run the macro. The Access option was a fallback, so looks like that's out and the Outlook VBA macro is the way to go. Here is the code below, just open Outlook Alt+F11 to open VB Editor, right-click on VBAProject.OTM in the left panel and Insert a new module. Then paste this code, which as you can see is very much like the Excel macro except for the addition of some Outlook lines. Just replace variables enLocation, enNotebook, enNoteFileLocation with what you were using before, set up your first PST as described above, test it out and let me know how you go!
' Windows API function declarations.
' Synchronously executes the specified command and returns its exit code.
' timeout value in seconds for `timeoutInSecs`. Dim pid As Long ' PID (process ID) as returned by Shell().
' Invoke the command (invariably asynchronously) and store the PID returned.
' Note that this invocation may raise an error.
' so we can wait for the process to terminate and query its exit code. "Failed to obtain process handle for process with ID " & pid & "." ' Now wait for the process to terminate.
" to terminate timed out, or an unexpected error occurred." ' Obtain the process's exit code. "Failed to obtain exit code for process ID " & pid & "." ' Return the exit code. Under "Public Sub ConvertToEvernote()", Line "Dim retval, c As Range, fso As Object, enNoteFile As Object"
"c As Range" returns "type not defined"
Thanks for the response. Script runs without error. Also runs with no entries in EN. Here is what I've found with the following two lines. MsgBox outNotesFolder ' returns "Notes" as folder name. I have no Database named "Notes" and I can find no folder anywhere in the PST named "Notes" - in default pst or the 2nd pst. It seems to have found the Notes folder though, maybe there are no notes in there? Did you move your Outlook Notes somewhere else? If you select Folders in the Navigation view, it should show all of the folders, including the Notes folder as shown in the pictures below? Tools>Accounts>Data Files shows 2 psts. Cked every folder/subfolder in both. No "Notes" anywhere. I run with 5 email accounts in the default pst, FWIW. Seems I saw "Notes" at one time but haven't seen it for, well, I don't remember. Does it matter? I'm trying to transfer database folders, or are "Notes" folders and DataBase folders the same thing? You have me so close to success I can almost touch it. I have 8000+ notes in 7 Outlook folders. 95% consist of a subject and body. The remainder are emails. "Default" folders include Databases, Deleted Items, Drafts, Inbox, . . . Folders under Databases are Apps, Business, EMail, Genealogy, Quotes, Statistics, Vehicles. Email contains (duh) emails. Quotes consists of Subject/Body. The remaining folders consist of Creation Date/Subject/Body. The "Two" folder contains no Notes and No Databases. Apologies for incorrect lingo. I assumed (incorrectly) I stored 'notes' in my DB folders. Should have been more clear. OK. Thanks for your patience, and sorry for all the questions but I need to determine what type of notes you have eg tasks, emails, notes, journal, posts etc. The macro is looking for a Note-type item in the default Notes folder, but it appears that it needs to be looking for something else in your Database folders. Can you recall how you created a new note in any of your Database folders? It could be that the Database folder is a user-created folder, as are the sub-folders. 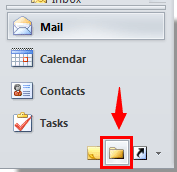 When folders are created, Outlook asks what type of items will be in that folder (as shown in attached picture), and only allows that type of item. If I can find that out, I'll modify a couple of lines of the macro, and we'll go from there. To get a picture, you might use Windows Snipping Tool provided with Windows 7 onwards. Type Snip in the Windows search box and it should show up. It will help you select an area and convert that into a JPG or other format that you can upload here.